First Workshop MAS2TERING on Business convergence for Telecoms, Grid Operators and Utilities. (Resp. Telecom Italia). Key Outputs: preliminary business-feedback on project’s targets, input to high-level functional requirements definition. 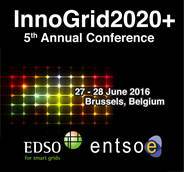 Second Workshop MAS2TERING: Smart Grid Technologies and Project Use Cases I (Resp. GDF Suez). Key Outputs: smart grid stakeholders awareness raising and project’s use cases refinement. Third Workshop (resp. SMS, Plc. ): Business convergence II Telecom/ grid operator/ utility. Key Outputs: feedback for leveraging MAS2TERING foreground market uptake and commercialisation. 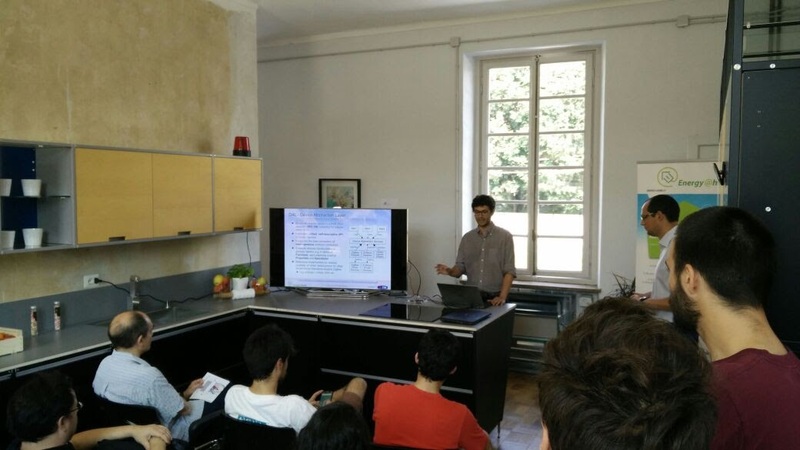 On 30th June, MAS2TERING led a clustering workshop at the 4th Sustainable Places 2016 international conference held in historic Basque Country on the border of Spain and France in Anglet. After an introduction to the workshop objectives and business models developed by the MAS2TERING project by Thomas Messervey (MAS2TERING-SP2016), there were presentations from two invited guests, Thomas Walter (Easy Smart Grid) and Marijn DeKoning (USEF) followed by a fruitful discussion. Key Outputs: The aim of this workshop was to validate with an expert panel the approach and technologies developed in the Mas2tering project and to assess the costs and benefits of these outcomes. In this context of the transition towards smart grids, intelligent buildings have to tackle the challenges of smarter energy management, enhanced automation and connectivity. In light of stricter environmental policies and cost-reduction objectives, building managers are exploring innovative solutions to predict, monitor, control, and optimize energy consumption. The trend toward smart buildings is enabled by the growing integration of information technology with the energy systems. An unwanted consequence of this is the growing exposure to cyber-attacks. Artificial Intelligence is expected to play a key role in this new relationship between the smart buildings and the smart grid. This special session, therefore, aims to bring together researchers and practitioners from diverse areas of Artificial Intelligence, distributed computing, intelligent decision-making, smart management, communication and cybersecurity to explore new applications of Artificial Intelligence techniques in the fields of the smart building and the smart grid. R.A.S. Fernandes, L.O. Deus, L. Gomes, Z. Vale. Statistics-based approach to enable consumer profile definition for demand-response programs. FA.S. Borges, I.N. Silva, R.A.S. Fernandes. Features extraction-based method for voltage sag source location in the context of smart grids. Meritxell Vinyals, Maxime Velay, Mario Sisinni. A multi-agent system for energy trading between prosumers. Gil Pinheiro, Eugénia Vinagre, Isabel Praça, Zita Vale, Carlos Ramos. Smart grids data management: a case for Cassandra. Catarina Ribeiro, Tiago Pinto, Zita Vale, José Baptista. Data mining for prosumers aggregation considering the self-generation. Many papers were published by Springer: https://doi.org/10.1007/978-3-319-62410-5. 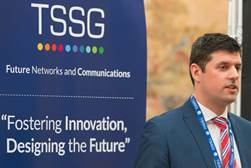 TSSG Industry Open Day, 3 March 2015, Waterford, Ireland (TSSG). Steven Davy. 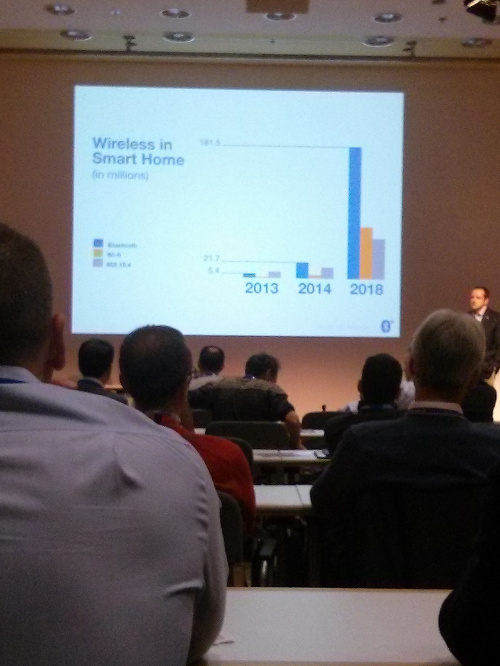 Presented at TSSG Industry Open Day, March 3 2015. Click here to read more.